The physical and emotional transformation from newborn to elderly has fascinated scientists and psychologists for years. From these studies arose the field of developmental psychology, a branch of psychology that studies how emotional, social, biological and cognitive processes change throughout our lives. Several theories and ideas that we rely on today came from famous developmental psychologists. 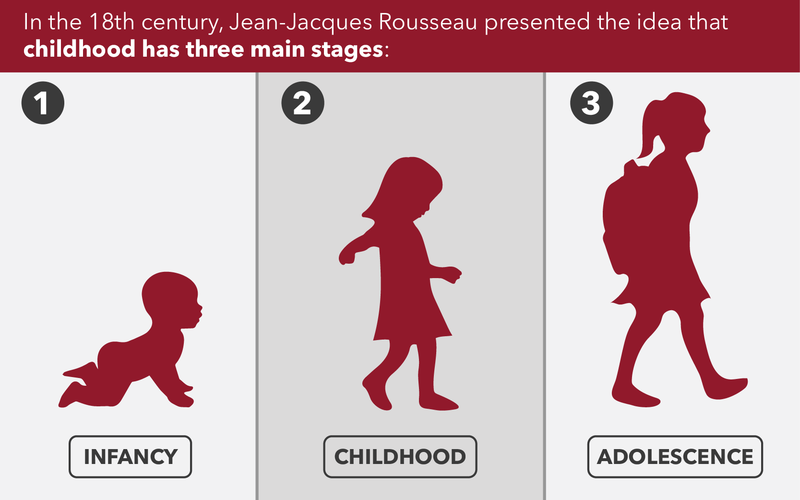 One of the earliest theories on childhood development came from Jean-Jacques Rousseau. In Erik Erikson’s research, he theorized that during each stage, a person would go through a “psychosocial crisis” that would build and develop their personality either negatively or positively. Developmental psychologists take these stages of life into account as they work with their patients. If a young child hasn’t reached a particular milestone, a developmental psychologist will assess the child and try to determine the cause. Early intervention is key to helping a child get back on the right developmental track. They also work with adolescents and adults to bolster their development and monitor their progress. Additionally, they are typically the type of psychologists to identify and diagnose autism spectrum disorder (ASD) and other common developmental disabilities like intellectual disabilities. According to the Center for Disease Control, 1 in 68 children have some form of ASD, and about 1 in 6 had some kind of developmental disability. They may work in a private practice or in a healthcare facility like a hospital or assisted living homes. Some also work at a university and primarily focus on research. The Bureau of Labor Statistics does not provide specific data on developmental psychologists, but psychology as a field is expected to grow 19% by 2024. As of May 2016, the average annual salary for a psychologist was $75,230, but this can change based on experience and specialty. Most psychologists, especially those in a specialized area, hold doctorate degrees. A good foundation for a graduate education is a bachelor’s degree in applied psychology. After obtaining a doctorate degree, an internship under an experienced psychologist is generally required, and most states require psychologists to be licensed. Check with your state to verify you have the correct requirements. Organizations like the American Board of Professional Psychology offer certifications in different specialties. Being board-certified, especially in a specialty like developmental psychology, allows for more credibility and more job opportunities as many hospitals and clinics require certification. A developmental psychologist must have patience and solid interpersonal skills to interact effectively with patients and caregivers. They need to be able to analyze a situation to form the best treatment plan, as well as diagnose the problem. Their powers of observation should be strong, as well as their communication skills. Trustworthiness is also essential, as patients need to be able to fully trust their psychologist.